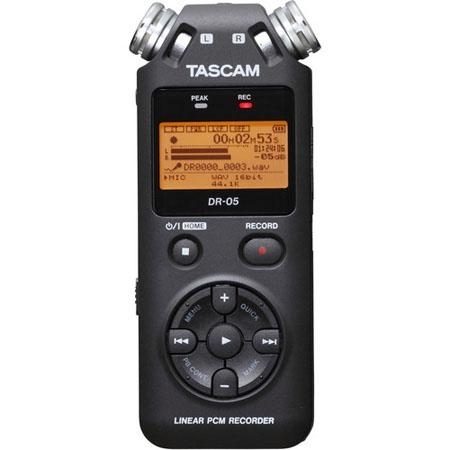 Tascam's DR-05 brings high-quality stereo recording to an easy-to-use portable powerhouse with a size and price that anyone can handle. The DR-05 records in MP3 or WAV format - including 96kHz/24-bit high-resolution audio - to microSD or microSDHC media. 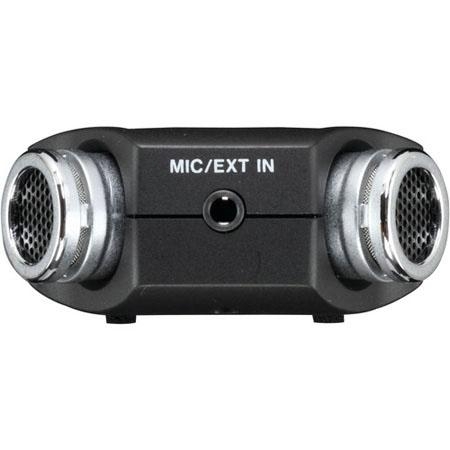 A pair of all-new microphones handles up to 125dB SPL with the sensitivity to capture every detail. With new recording features like Peak Reduction and Quick Menu, the DR-05 puts album-quality recording in the palm of your hand. 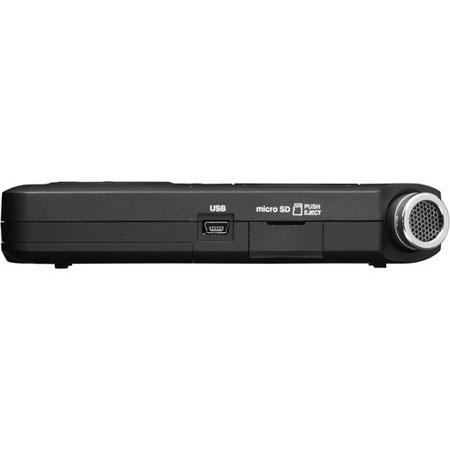 Everything about the DR-05 is designed to get the best quality recordings of your music. A new pair of built-in microphones withstands up to 125dB SPL - the volume of a jet plane from 200 feet away - yet still have the sensitivity to capture every detail of a performance. You can add your own microphone or line-level source through the 1/8" stereo input, including plug-in power for microphones that need it. 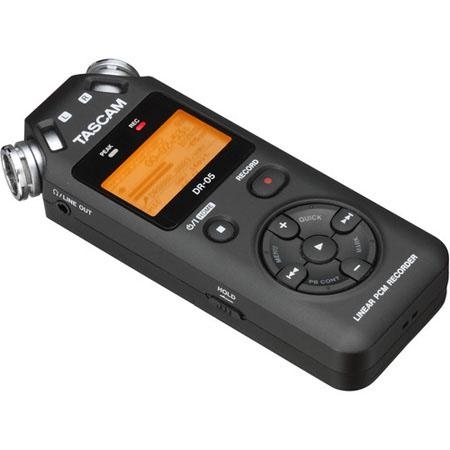 Other classic TASCAM features are included, like Variable Speed Audition to loop and slow down music without changing the pitch - perfect for transcribing or learning new music. A Level Align function can be switched on for playback, to smooth out any sudden volume jumps and a built-in speaker is also provided. 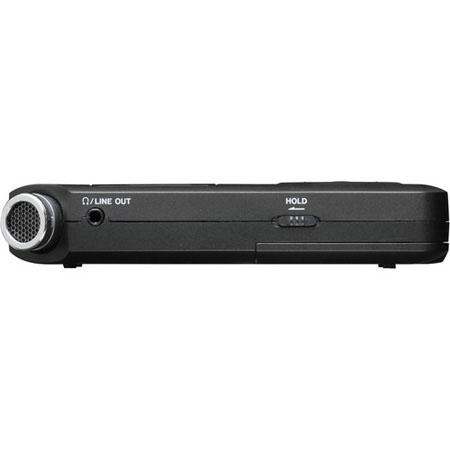 The two AA batteries are enough to power the recorder for 17 1/2 hours, even while recording at CD quality.